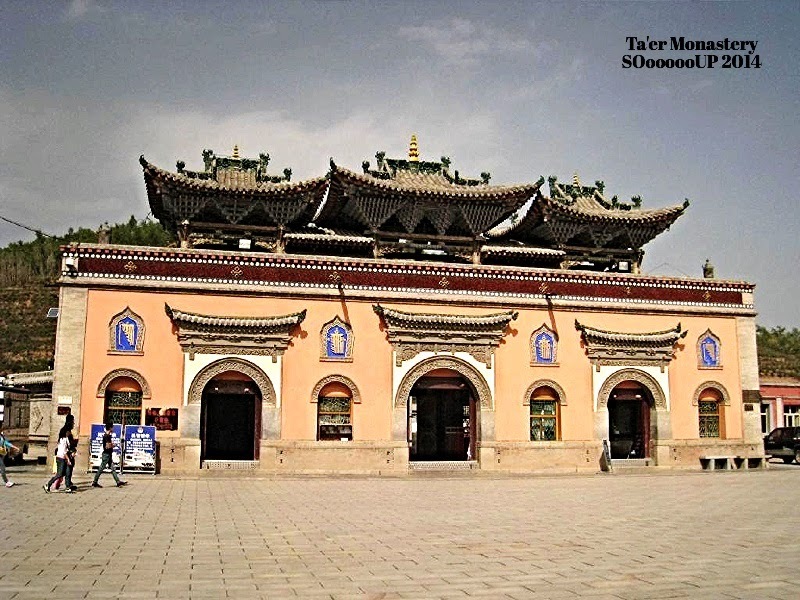 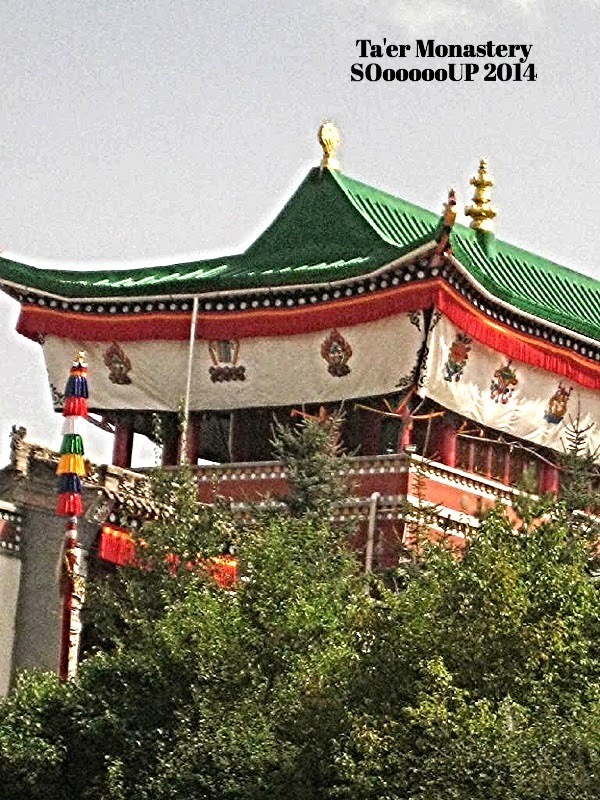 Kumbum Monastery is about 27 kilometers southwest of Xining. 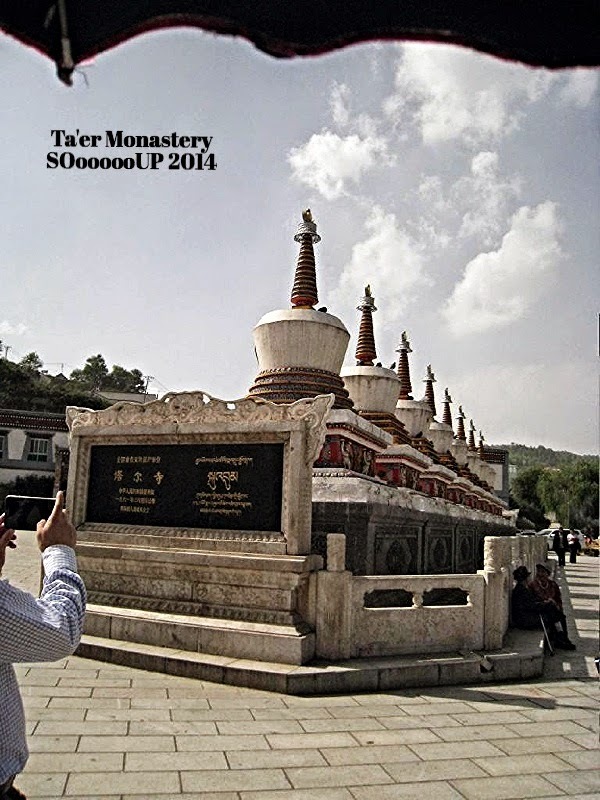 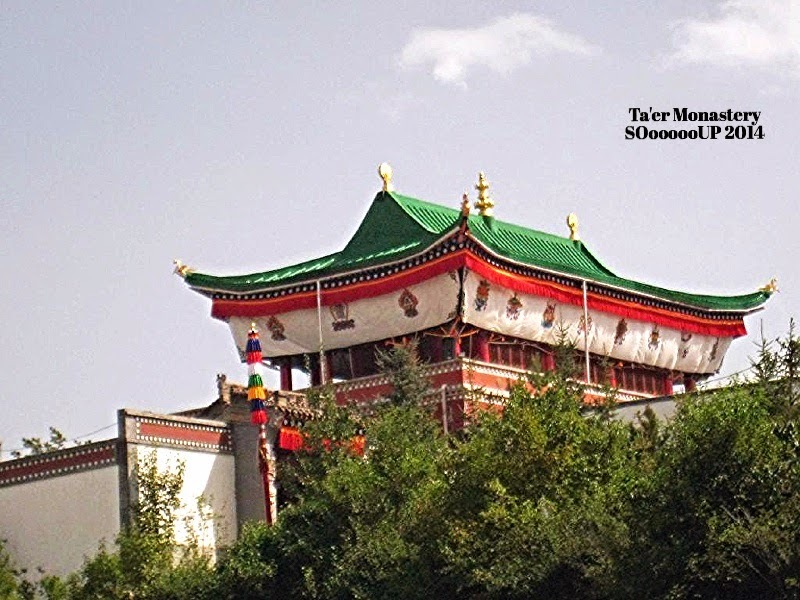 It is one of the two most important Tibetan Buddhist monasteries outside Tibet itself. 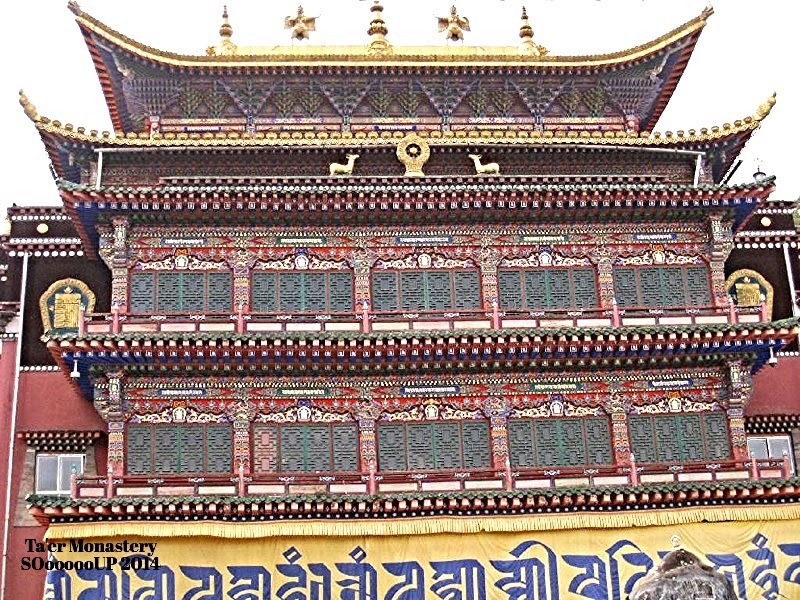 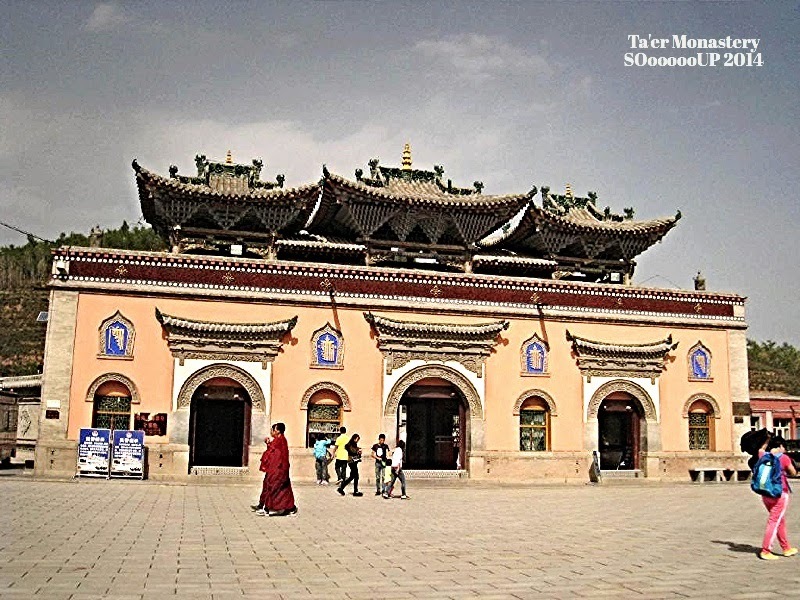 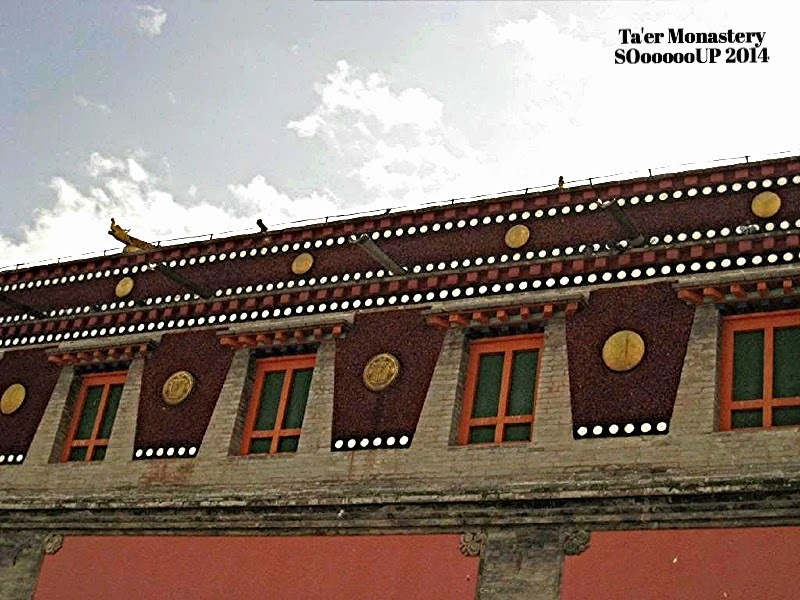 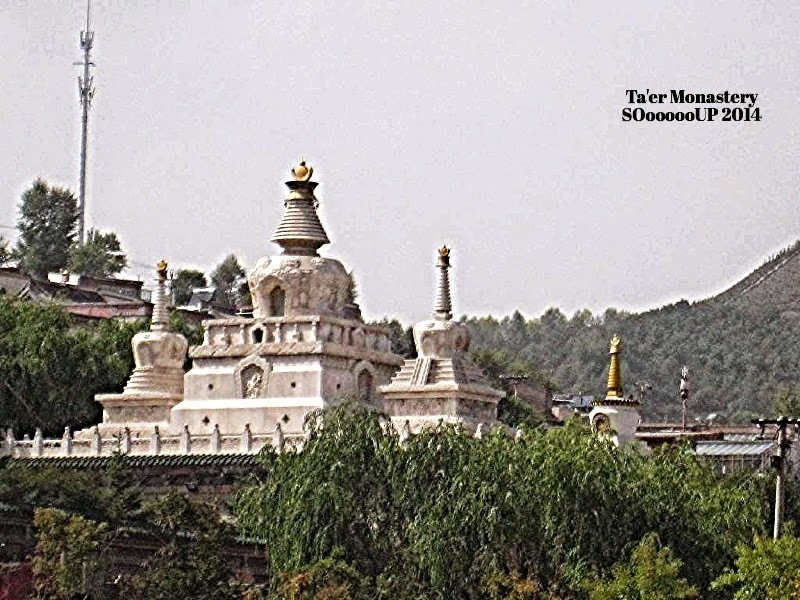 Kumbum Monastery, also called Ta'er Monastery, originated in 1379 from a pagoda that marked the birthplace of Tsong Kha-pa, founder of the Gelugpa Sect of the Tibetan people. 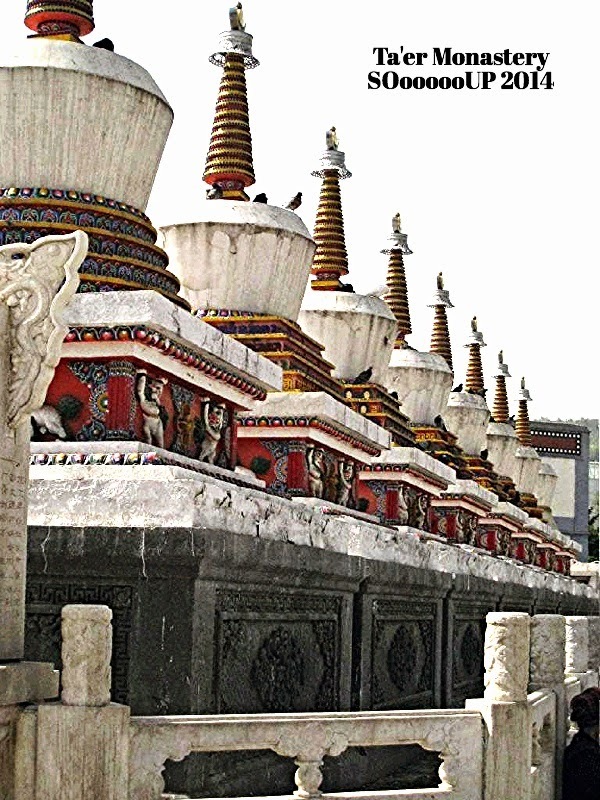 The eight stupas to the right of the entrance, representing the life story of Sakyamuni. 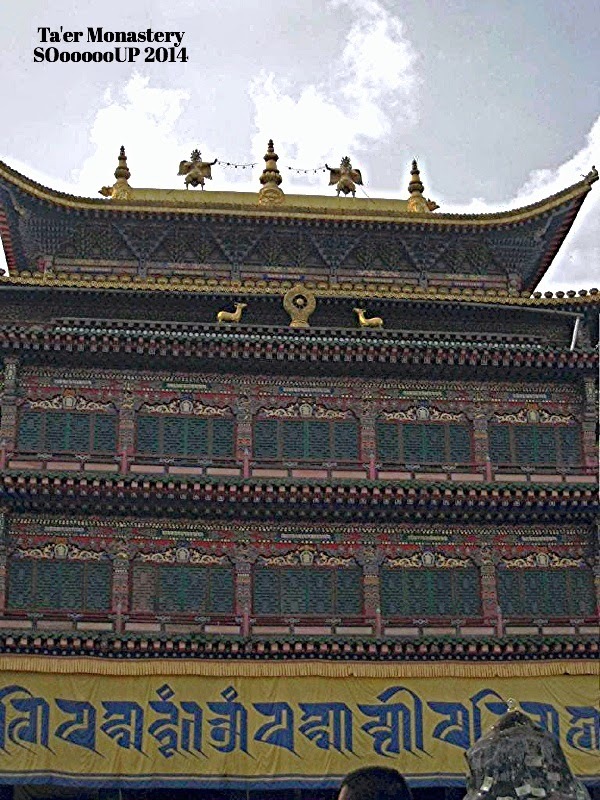 Housed behind these walls is the treasured appliquéd embroidery displayed in the Great Hall of Sutra. 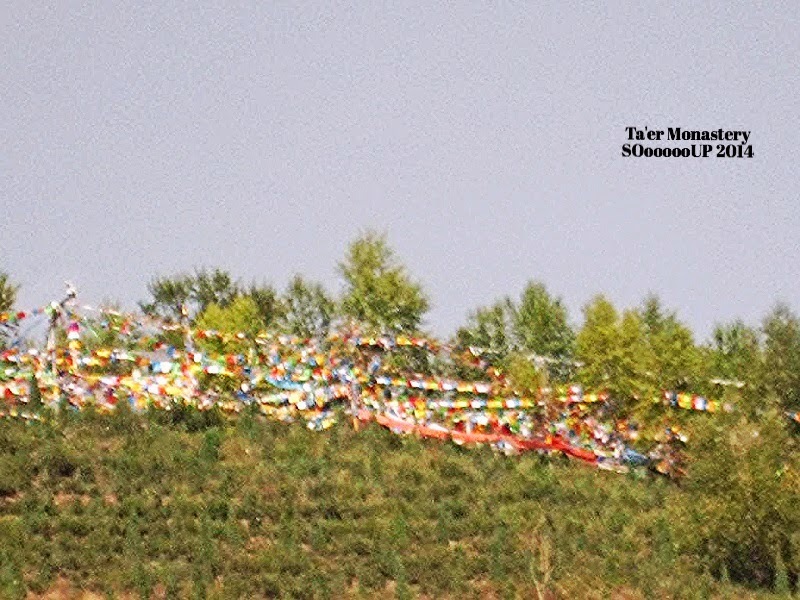 The pictures are pieced together with silk and the Buddha. 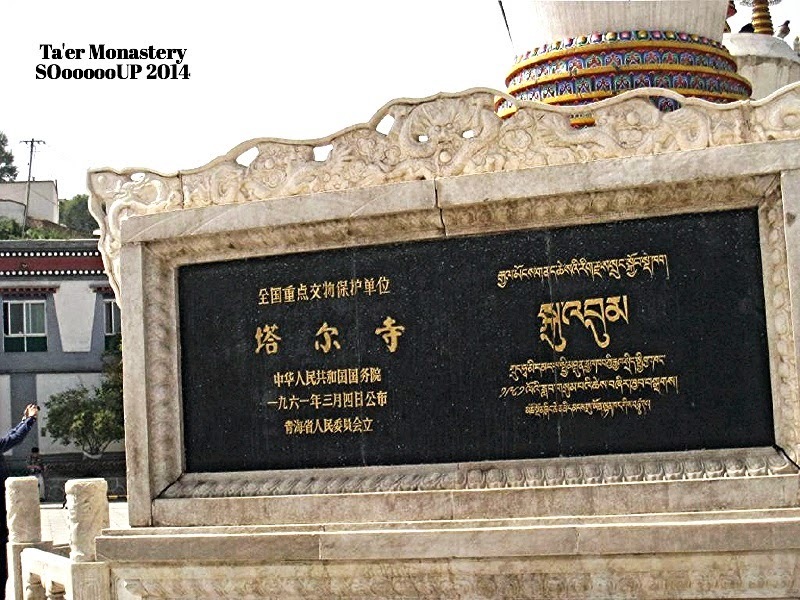 Mural forms another treasure of the monastery. 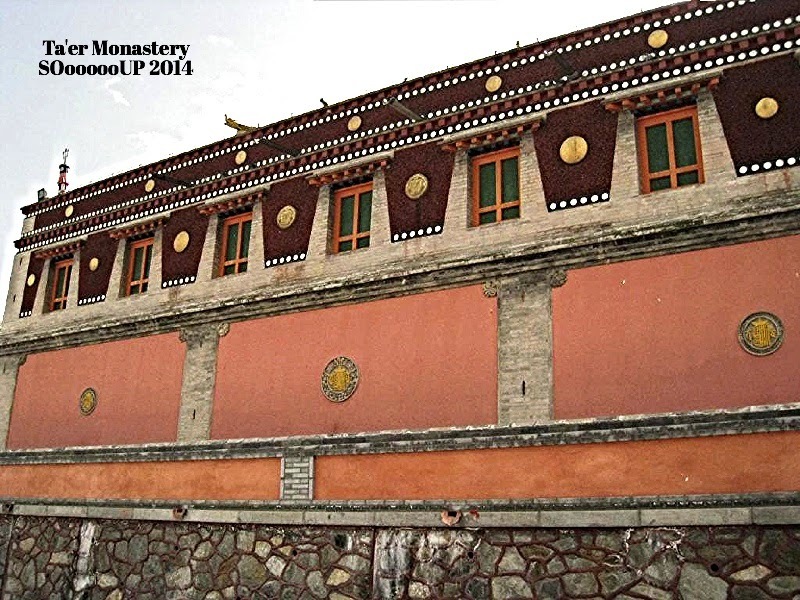 They were painted with pigments made from minerals and plants, allowing the colors to stay fresh and bright for centuries. 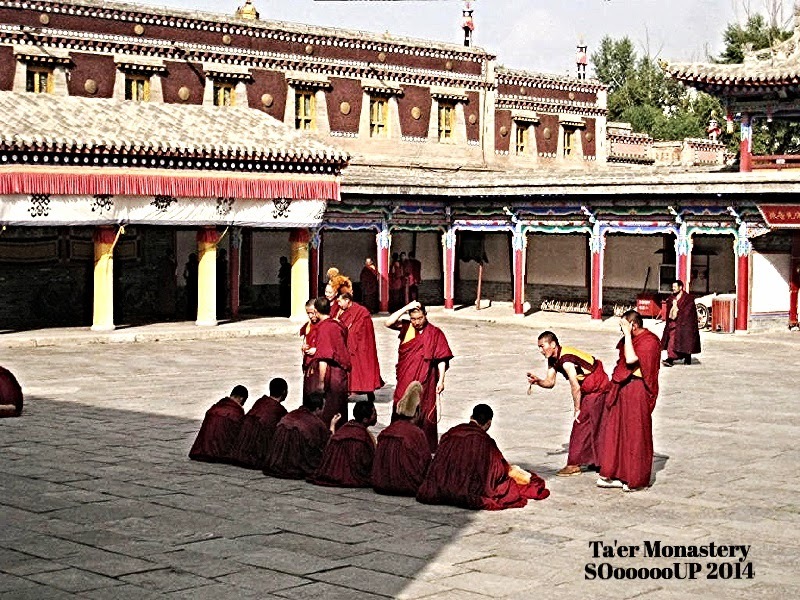 No photography is allowed. 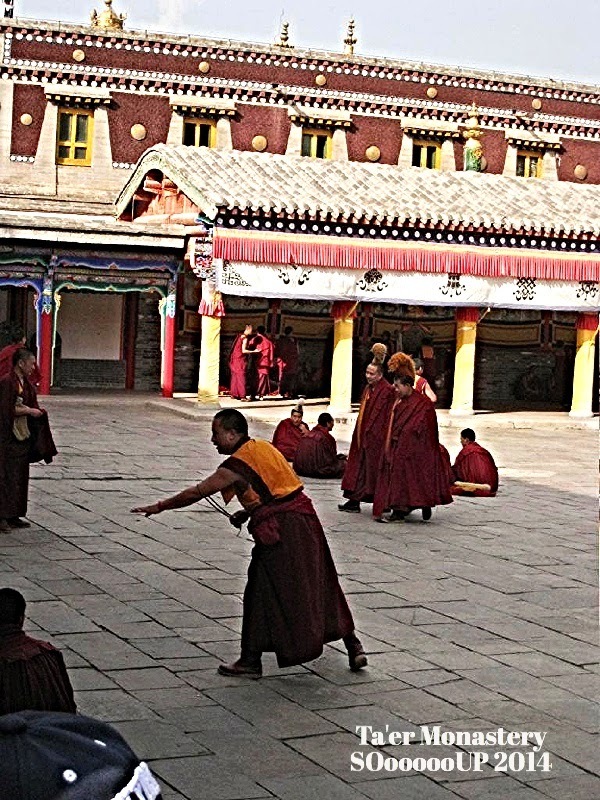 The site covers around 400,000 square kilometers and is home to over 750 monks. 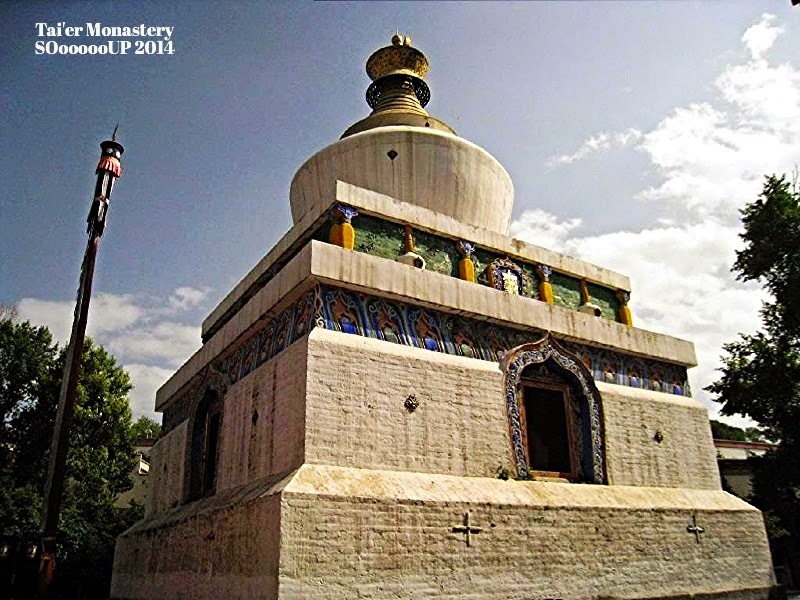 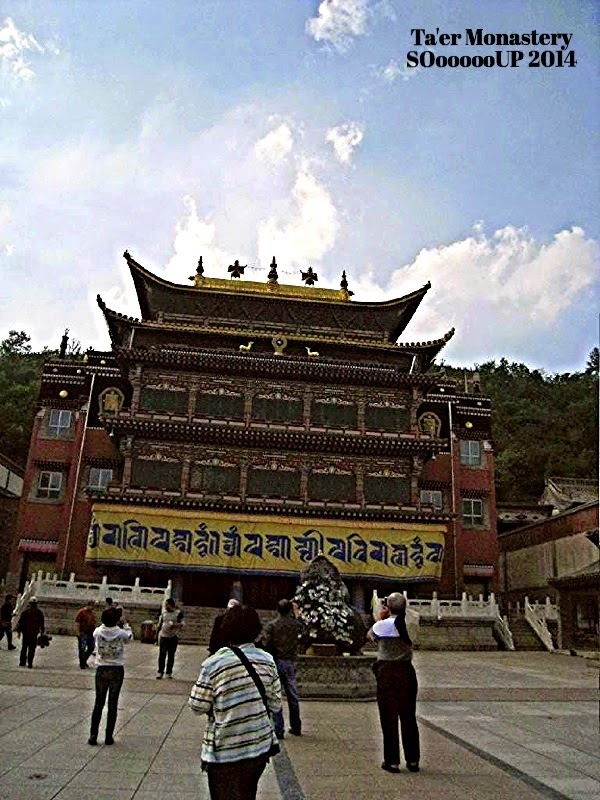 The most famous items in this monastery are the "Three Treasures", the yak butter sculpture called "Suyouhua". 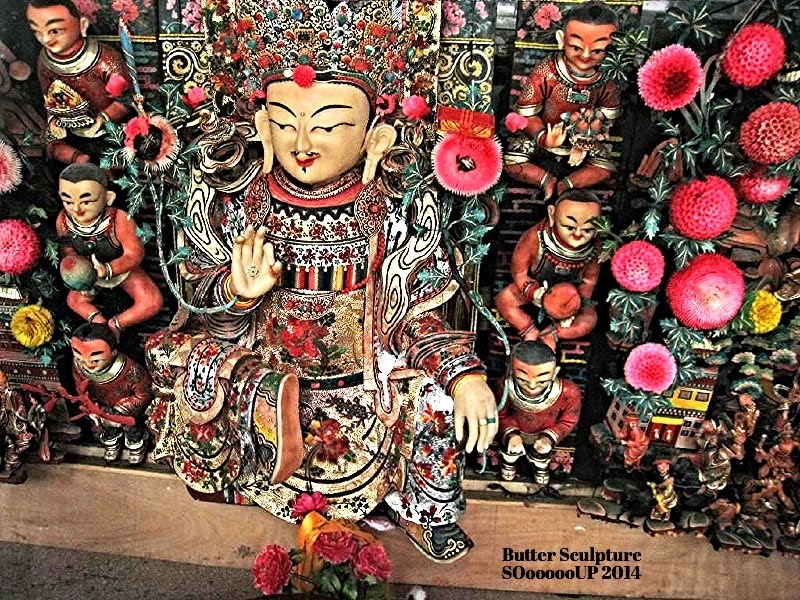 Made from yak butter, the sculptures bring to life Buddha, animals and flowers, and vary from a few meters to less than a centimeter high. 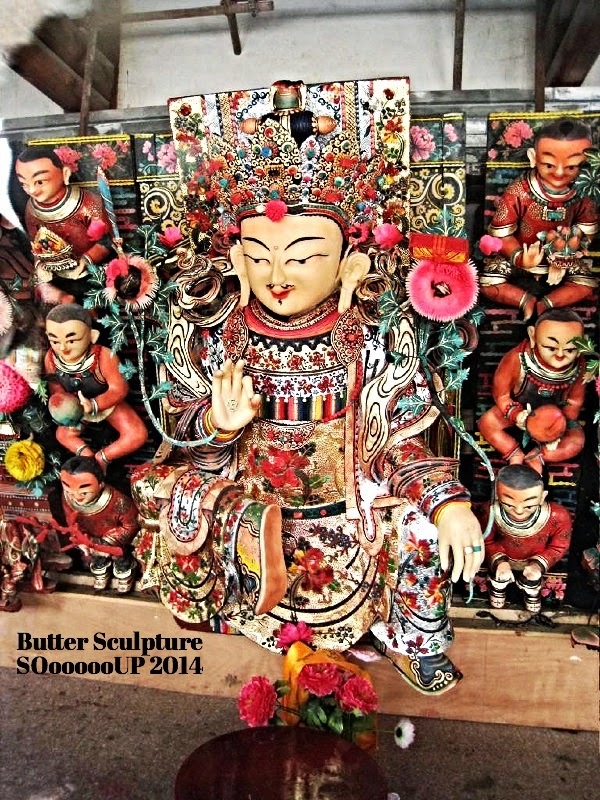 To prepare for the grand butter sculpture show on the night of the lunar calendar, the lamas must start working at least three months ahead. 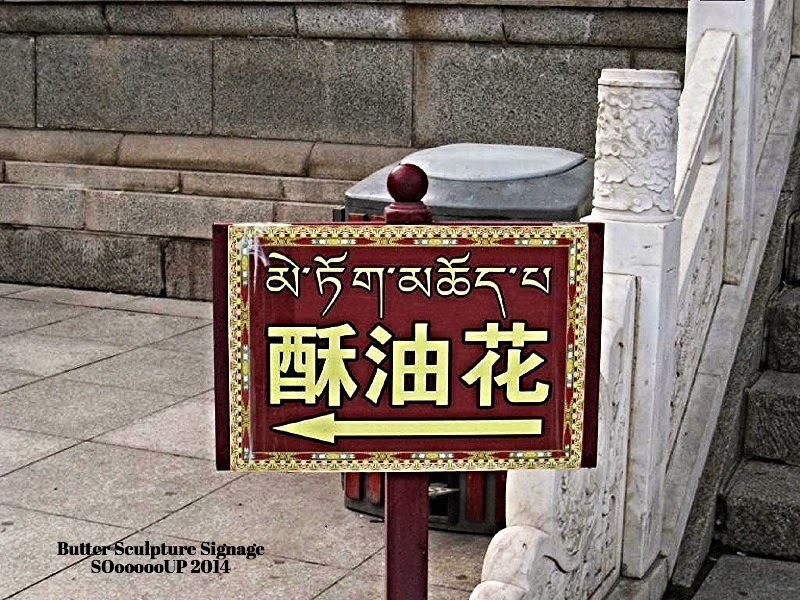 To prevent the butter from melting, they must work in sub-zero temperature and the sculptures are kept in giant, air-conditioned glass boxes after the show.